Satun, Thailand is to some, nothing but a border town. A place to while away a few hours before the next bus to somewhere else. To others it’s most famously known as the home province of beautiful Koh Lipe and the Adang Archipelago. But there is more to Satun Town and Satun Province than one might expect. In fact, Satun’s recent accolade of now having Thailand’s first Unesco Global Geopark is proof of that. It was the new geopark status that prompted me to recently revisit the eclectic border town and take a closer look. 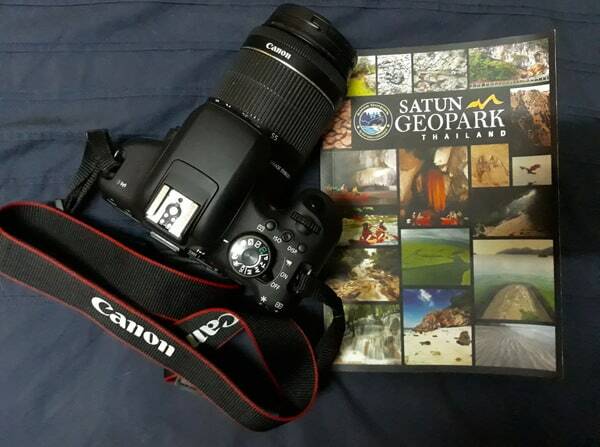 Being well-versed in Langkawi, Malaysia’s Geopark, I was very interested to see Satun’s version. Especially considering Satun’s diverse culture and heritage, which easily covers UNESCO’s list of global geopark top 10 focus areas. 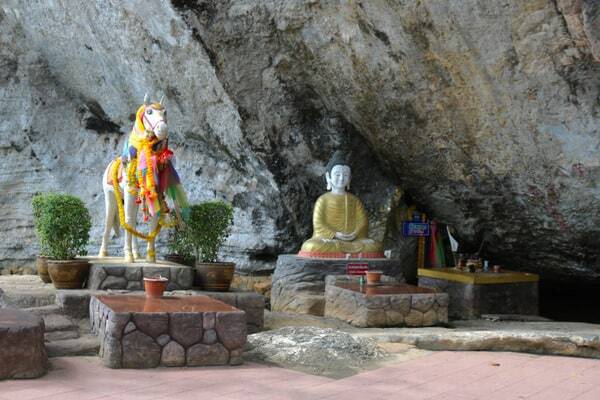 The geopark will also offer more highlights of the many unique things to do in Satun. Satun Province is located on the southwest coast of Thailand and is divided into 7 districts; Mueng Satun, Thung Wa, Khuan Kalong, La-ngu, Khuan Don, Tha Phae and Manang. It also includes nearly 100 islands (according to the Tourism Thailand website). Like much of Northern Malaysia and other parts of Southern Thailand, Satun’s history is fascinatingly complex. 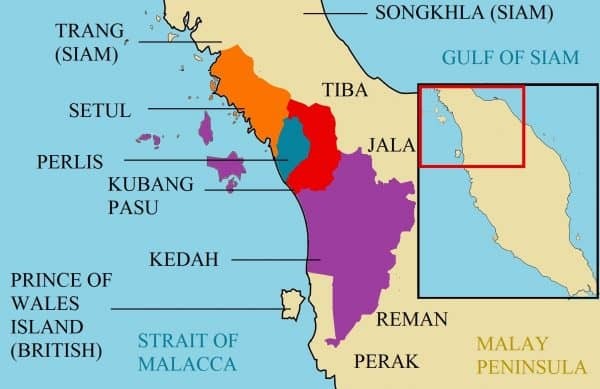 In a nutshell, once upon a time, Satun was a Malay state known as the Kingdom of Setul Mambang Segara (Setul) from 1808 -1916. Here’s where things get seemingly more complicated. Siam conquered Kedah in 1821, but with the exception of Perlis, the Sultan of Kedah was able to regained his territory in 1842. With Siam’s blessing, Perlis became a separate state with its own raja. In 1909, this area of Southwest Thailand and Northwest Malaya which included Satun and Kedah was divided between the British Empire and Siam as part of the Anglo-Siamese Treaty of 1909. Satun became part of Thailand (Siam), with Kedah becoming part of British Malaya. It was during this time that Koh Tarutao, Koh Lipe and Langkawi were divvied up as well and the bordering waters allotted accordingly. However, the Malay rulership of the Setul ‘kingdom’ did not end until 1916. The present-day name ‘Satun’ is the Thai version of the word Setul. Santol (Setul) being the name of a type of wild mangosteen. 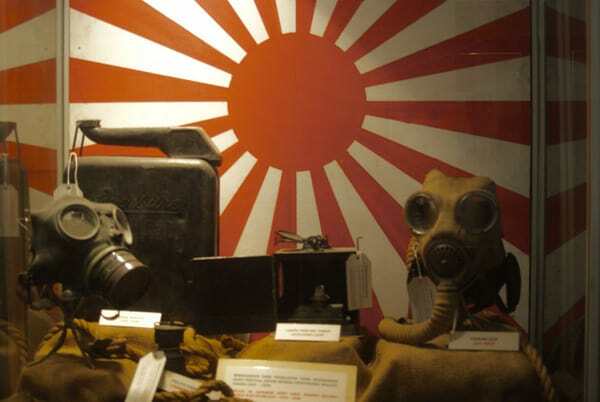 Japanese artifacts recovered in Kelantan. In 1943 during the Japanese occupation of British Malaya during World War 2, Kedah, Perlis, Kelantan and Terengganu were returned to Thailand. Two years later, when the war was over, those four states were returned to the British. Confusing? Yes. But it is a clear testament of the rich diversity of this border region. You can read a much more in depth version of Setul history HERE. So, what’s there to do in Satun? Whether you are planning to explore the entire province or looking for a few ‘hidden (geopark) gems’ around the provincial township area itself, there is plenty of explore-worthy terrain in Satun and the surrounding areas to keep one busy for a few days. From sampling local foods at the night market to cycling the back roads to exploring national parks. Here are a few options I discovered on my recent visit. Since a visit to the Satun Geopark was my main objective, I’ll put this must-see at the top of the list. However, although I did notice a big sign announcing the Satun Geopark, I was surprised at the lack of local geopark information prominently available. I had also ‘assumed’ Satun Geopark was referring to just the immediate Satun Town area. 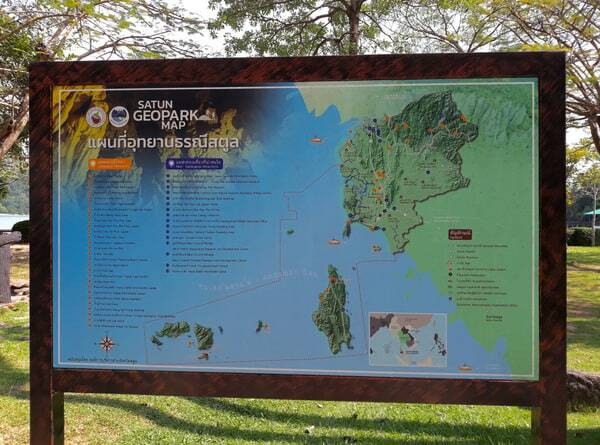 But the new Satun Unesco Global Geopark is laid out quite differently from neighboring Langkawi’s Geopark. Where Langkawi embraces the entirety of a relatively small archipelago, Satun’s Geopark is more expansive and includes four districts within the vast Satun Province; Mueang Satun, La-Ngu, Thung Wa, and Manang. 72 Sites according to the Satun Geopark book I got my hands on. A copy of this book may be available at Koh Phetra National Park. Even more frustrating, was that when I asked a local how I would go about visiting the Satun Geopark I was immediately pointed in the direction out of town, well beyond walking distance. However, I later realized, Mueang Satun is an inclusive geopark district and therefore I was already ‘experiencing’ the Satun Geopark within the Satun township itself. But since the geopark status is new, geological formations are the stars of the show at the moment. Or at least that’s how I see it. However, true to UNESCO Geopark form, Satun’s geopark status is not just ‘about rocks’. You may have to look under a few to find what you are looking for, but for now here are a few relatively easy-to-get-to things to do in Satun. 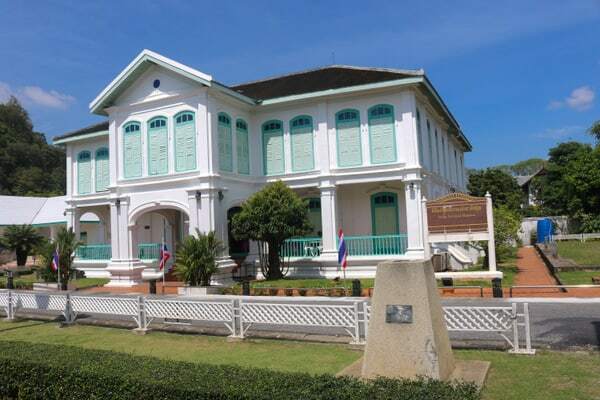 The Satun National Museum is an absolute must visit. The original, 2-story Ku Den Mansion was completed in 1902 to be used as the royal residence of King Rama V (when he was in town). Apparently, he wasn’t in town much so the mansion was turned into the governor’s residence. During WW2, the mansion was used as a Commander Office by the Japanese Military in 1941. From 1947 until 1963, the Ku Den Mansion was known as Satun’s ‘city hall’. It officially became the Satun National Museum in 2000. Lots of information like this is available throughout the museum. 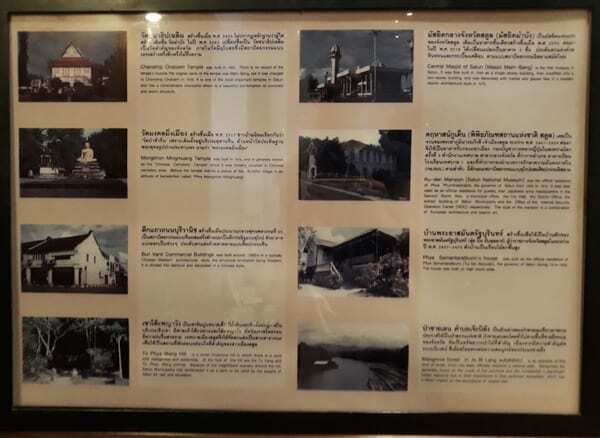 The museum is divided into 6 exhibition rooms; History and background of Satun Province, Satun’s way of Life, Governor’s Residence, Traditional Satun House, Kuden Mansion’s Living Room and the Thai-Muslim Cultural Room. Give yourself a couple of hours to absorb the abundance of information, because there is a lot to read. Dioramas come with audio descriptions in both Thai and English (Australian voiceovers). All quite interesting. Entry cost is 50baht. The museum is open Wednesday through Sunday 09:00 until 16:00; closed Mondays, Tuesdays and Holidays. 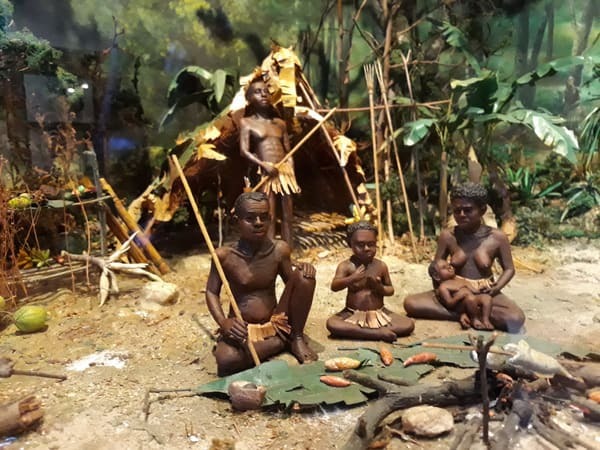 Diorama of the Sakai Tribe, one of 3 indigenous tribes living in the Satun Province. 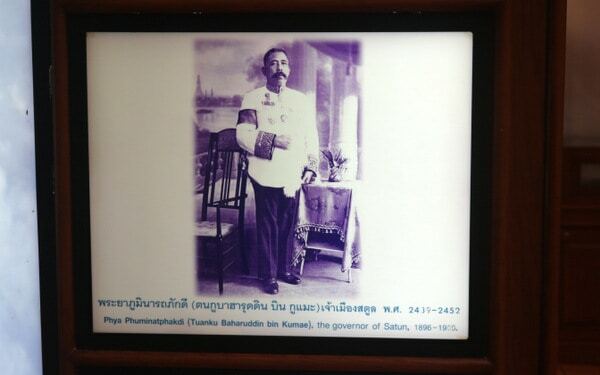 Phya Phuminatphakdi, the Governor of Satun from 1896 -1909. Located on Ruangritjaroon Rd, the Satun Clock Tower is mentioned on Google as being a historic site. But if there’s any ‘historic site’ information connected to it, I failed to discover it. However, it is a beautiful Clock Tower and an X marks the spot location for the Saturday Night Market. The time is also correct, which shows someone cares. The Clock Tower is lit up at night and has great potential to make a nice photo. Unfortunately, I failed at that challenge, but I’m sure you can do better. Clock Tower photography can be a challenge at night. Speaking of the Saturday Night Market, this weekly night market is a mish mash of local food, clothing, household items and you-name-it. You’ll find lots of meat on a stick, fried chicken, sushi, smoothies, sticky rice and the like. I’d recommend bringing a reusable (washable) shoulder bag to stash all your goodies in and keep your hands free ( It’s much easier to plunder through the available racks of bundled goods with your hands free). Located along the road next to the Clock Tower, the night market isn’t a late-night affair, so don’t go too late. Things starts wrapping up between 9 and 10pm. Scheduled every Saturday 17:00 until 22:00. The Community Garden is a bit of a mystery as it’s a shrine, park area and small cave all rolled into one. Spilling from the edge of a limestone encrusted mountain, it isn’t easy to comprehend who visits the area as there is a slightly untidy shrine area surrounded by well-maintained gardens. At first impressions, I thought it might be someone’s temporary home or secret club house. Never the less, you can find this ‘hidden gem’ by following Satuntanee 5 Alley from Ruangritjaroon Road. There were no other people around when I visited, so I opted not to go into the cave alone. Many hotels either have bicycles for guest use or can point you in the right direction to get one. The hotel, I stayed at, Satun Boutique Hotel has free bicycles for their guest’s use. An easy sightseeing option for newbies would be to start your cycle trip at the Community Garden and follow the road around the mountain and over the bridge. 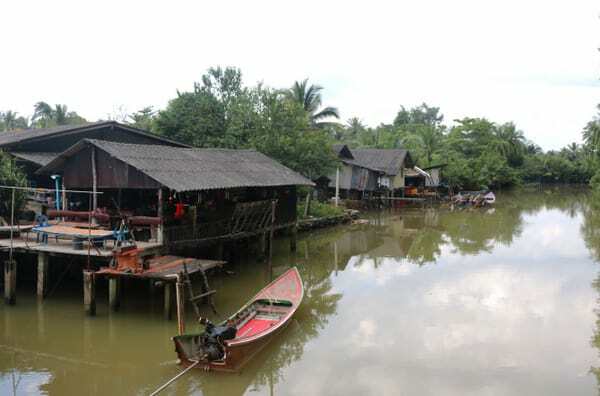 The rustic structures along the Tai Li Klai River offer a glimpse of traditional Satun life. You will pass through a few kampung areas, where the locals offer a welcoming smile as you cycle by. This is a rather interesting road between the bridge and the Ban Sai Ngam School as there are a variety of cottage industries to observe. From sun drying sardines along the roadway, to palm fruit harvesting and rubber tree tapping. It’s a scenic and refreshing bike ride-able area. Be sure to bring a camera and water. 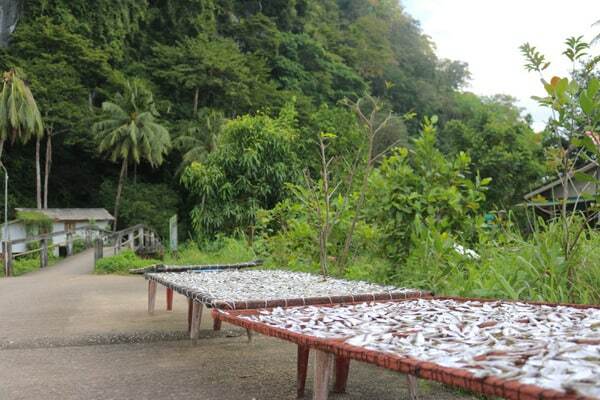 Anchovies and Sardines are big business in Satun. 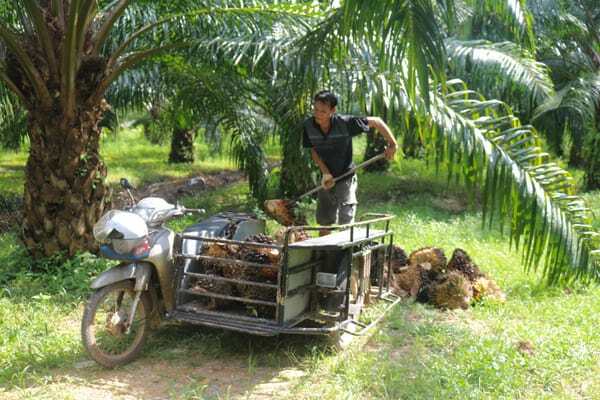 Some local farmers are even involved in the palm oil business. If you’re looking for a good old fashioned park, Khao To Phaya Wang Public Park qualifies. Located on Khuha Prawet Road near V Valley Resort, the park is popular with picnicking families as well as bike enthusiasts. A looming limestone mountain, a cave and the passing Ta Li Klai River are included in this well-maintained community park. The park is open daily from 08:00 until 17:00. Satun is abundant in temples and mosques, but they aren’t necessarily iconic beacons of religious preferences as much as subtle proof of the religious harmony of the town. 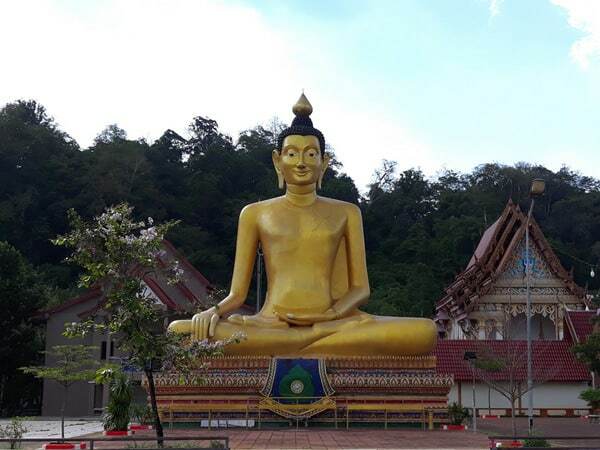 Wat Satun Santayaram with its larger than life Sitting Buddha and the Poh Jeh Geng Shrine are both within walking distance of the Satun National Museum. The Poh Jeh Geng Shrine entrance. 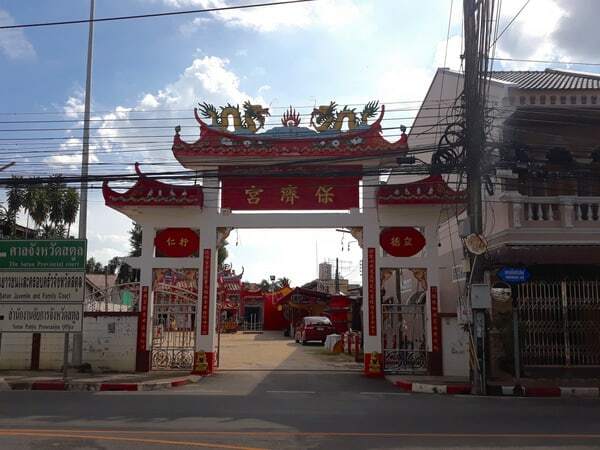 Out on Sunlakanukan Road you will find Wat Chanathip Chaloem, which holds the historic honor of being the first and largest Buddhist temple is Satun. Built in 1882, the temple has now been declared as an environmental preservation zone. 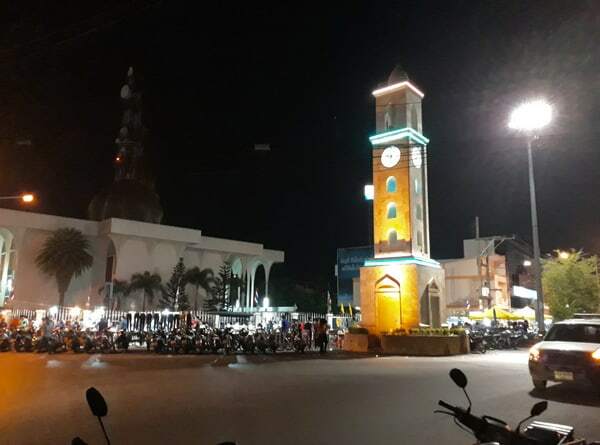 The Satun Central Mosque (Masjid Mambang) is located directly across from the Clock Tower and was built during the reign of Tunku Muhammed Akib (1843-1876). The original structure was demolished and rebuilt, with construction completed in 1979. Larger than life Buddha looms over Wat Satun Santayaram. In addition to the within-the-city-limits, things to do in Satun Town, famous islands Koh Lipe and Koh Tarutao are just off the coast. But also, somewhat closer to Satun Town proper are Thale Ban National Park and the Laem Tanyong Po Estuary. You will need transportation and time, especially in the case of Koh Lipe and Koh Tarutao, which are, of course, only reachable via boat from Pak Bara Pier. Gorgeous Sunrise Beach in Koh Lipe. La-Ngu District is the closest geopark blessed district to Satun Town and includes the acclaimed Mu Koh Phetra National Park, Koh Tarutao and 21 additional islands. It would take a few days and a hire car/boat to cover the present number of 72 geopark sites within all four districts. 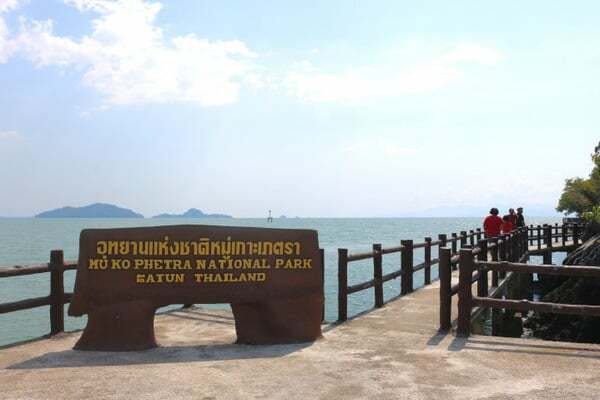 Thus, a visit to Mu Koh Phetra National Park is a good introduction to some of the geological wonders of the Satun Geopark. Here are the facts: Mu Koh Phetra National Park was established by royal decree in 1984. Of its more than 494 square kilometers 95% of the park is open water. 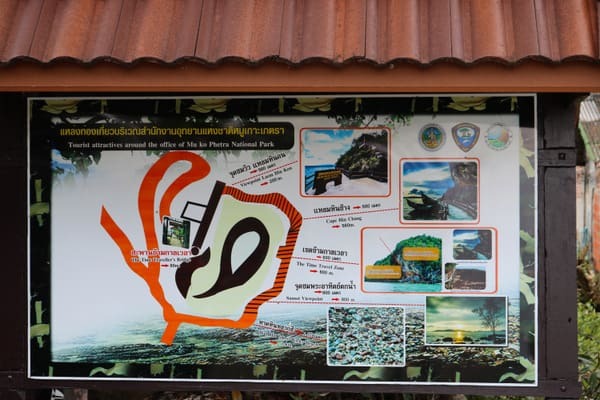 Mu Koh Phetra is the third protected area in Satun Province and the 14th Marine Park in Thailand. The two largest islands with Mu Koh Phetra National Park are Ko Phetra and Ko Khao Yai. This scenic boardwalk wraps around the rocky shoreline. Koh Phetra is very big on information boards. Getting there from Satun Town may or may not be complicated. From Satun Town you can take a mini-van to La-Ngu and then a motorbike taxi to Ao Nun. It’s a short walk from there to the park entrance. You can also just take a minivan to Pak Bara and rent your own motorbike. The park is easy to get to from there as well. The entry fee for Koh Phetra National Park is 200baht. Scenic Ao Nun has character and a sheep theme. There are more than a few accommodation options in Satun Town, but of the places I or my ‘team’ have stayed in, Satun Boutique Resort, V Valley Resort and The Gleam are presently the top three favorites. My recent stay at the Satun Boutique Resort offered me a quiet place to work (including a spacious desk) without distractions, had super-fast internet and the front desk is also most helpful in assisting with transportation arrangements. 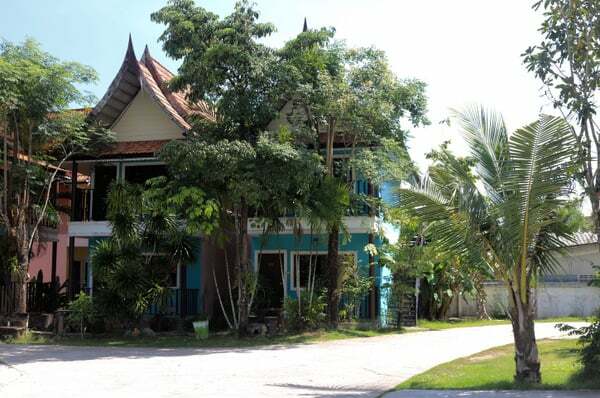 They are also conveniently located and a short walk or bike ride from the Satun National Museum and Community Park. 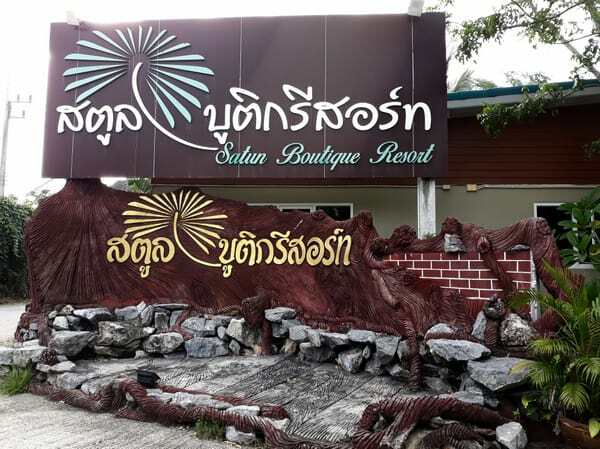 Entry of the Satun Boutique Resort. Don’t like my selections? You can check here for more Satun options. Be sure to double check the location as Satun Town and Satun Province hotel choices can often land under the same area umbrella, leaving you booked nowhere near you may have planned. When it comes to eating in Satun, the food options are also plentiful. Fareeda Muslim Kitchen and Bang Dul Restoran both offer simple but delicious local fare. The Satun Food Court is a nightly street full of options, from noodle and rice dishes to sushi and fried chicken. And for good old fashioned pizza or salad? Bobby’s Pizza Satun is the place to go. The owners are also a wealth of knowledge when it comes to Satun information, so rest assured they will do their best to not only nourish intrepid travelers but provide reputable guidance as well. Mini marts and street vendors will also keep you well supplied with snacks and beverages. 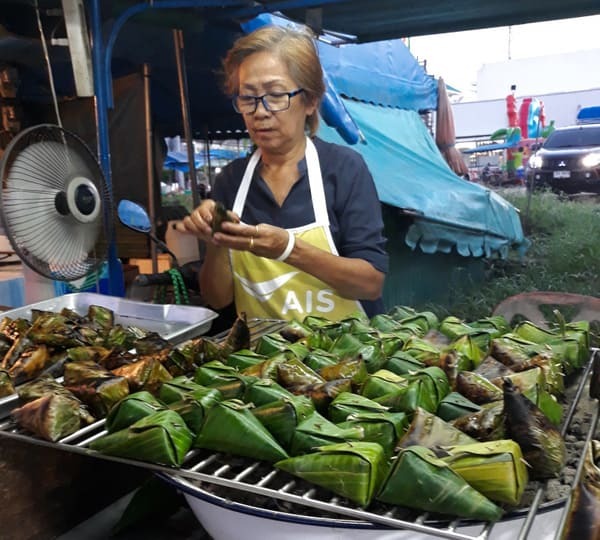 The Satun Food Court offers plenty of local flavors. Much of Satun Town is within a relatively easy walking distance, so choose your hotel base accordingly. Songtheaws are easily catchable up and down the main drag of Satun Thani Road. Motorbike taxis are available, but don’t expect them to have a helmet for you. 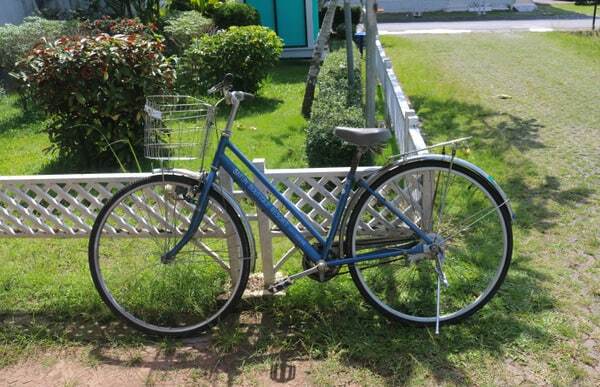 Alternatively, you can rent your own motorbike or bicycle. A bicycle is a stress free transportation choice. The choices are diverse when it comes to getting to Satun. There is a direct ferry from Langkawi, Malaysia which is twice a day. The immigration building is at the Satun Ferry Terminal of Tammalang Pier. From there you can catch a Songthaew to Satun Town or to the bus station for onward travel. Don’t muck around at this point, because if the Songthaew takes off without you, there is a good chance you and your luggage will be riding to your next destination on the back of a motorbike taxi (without a helmet). If you have already booked a hotel in Satun, show the driver the name and address and it may be possible you can be dropped off there. Regardless, keep that info handy. A photo of the hotel on your phone is also helpful unless you speak fluent Thai. Alternatively, you can get to Satun via ferry from Langkawi to Kuala Perlis, Malaysia and from there it can get downright creative. Do the seemingly quick jaunt to Hat Yai and then the minivan or bus back to Satun (border crossings are at Pedang Besar and Bukit Kayu Hitam). Or take the mind numbing (yet picturesque) route to the Wang Prachan border crossing. 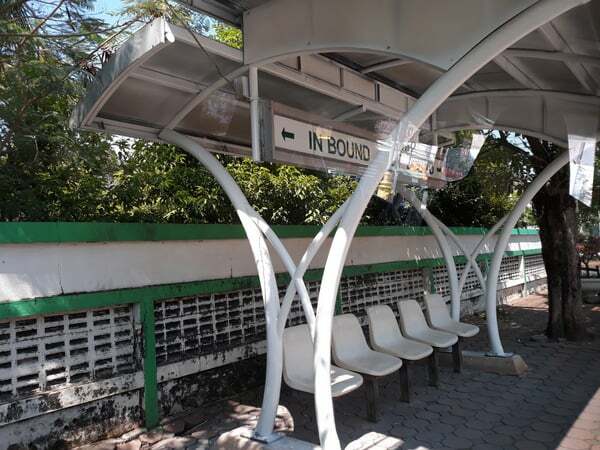 Direct buses and mini vans from Trang and Hat Yai are also available. As you can see, there is a lot more going on in Satun Town and Satun Province than many of us non-locals are aware of. And the information for this area can often be confusing due to the precise town and province locations often falling under one big ‘Satun’ umbrella. But if you are keen to explore Satun more in depth it is well worth doing a bit of pre-trip research on your own as well as contacting a local Satun guide. If you love off the beaten path travel, you’re going to love Satun! It looks like a fun little town. I would want to check out the museum and the night market for sure. Off-the-beaten path travel that would make. Maybe when we get back to Thailand. Satun looks amazing! I love visiting little bikable cities, they’re always a good time. The recent history of the region is so rich and interesting, thanks for the overview. I love that the restaurant known to be a repository of local information is called Bobby’s Pizza. Thai street food is amazing, I’m glad to hear there are many options out there. Thanks for sharing! Thanks Stevo! It took me two weeks to untangle the history a bit when I started reading Thai and Malaysian history. I had no idea there was an overlap of a kingdom. Found some fascinating reading along the way too. Always interesting to get a perspective on places that most people pass through. I did not know that Satun had the first UNESCO geopark. Or that it included four different districts. Night markets are definitely something I loved when we visited Thailand. Would definitely want to see the larger-than-life Buddha. And visit the white sand beach! Hey Linda, the Geopark status is brand new as of April 2018..or so. It’s a big deal and quite an honor for these folks in Satun. Worth a visit for sure. It’s the little things Janine. :D I live in Langkawi and shopping there has it’s own limitations, so it’s nice to be able to get a few Thai specialties. 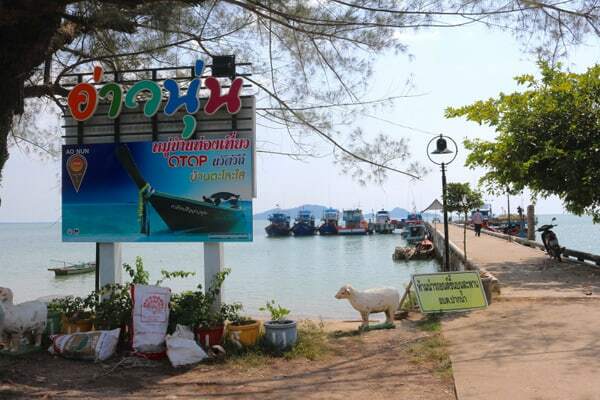 But for travelers it’s a great place to pick up a few things before they head to Koh Lipe or island hop up the coast. Pickings will get even more limited and more expensive off shore. Sunscreen, lotions, etc..
You’re such a rebel Sherianne! I can just picture you making the Thai newspaper as the ‘Crazy Tourist Scales Satun Clock Tower!’ :D (just kidding). 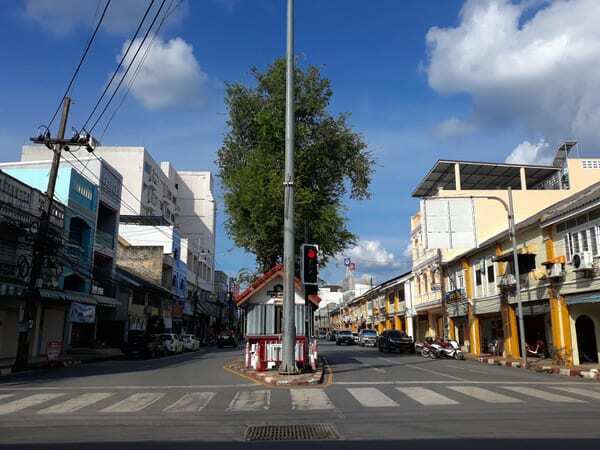 For a border town, there still appears to be much to do in Satun. I’d love to visit the Saturday Night Market, markets are always the best places to mingle with locals, eat some tasty food and get a lay of the land. That beach in Koh LIpe is really stunning, such white sand! 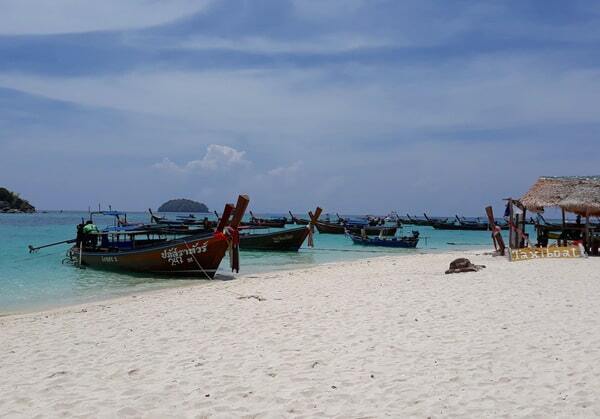 You would love Koh Lipe Claudia. The water is amazingly clear there.